To crack IBPS Clerk exam, you cannot ignore the importance of the study plan and best preparation tips and strategies. This most-sought banking exams basically test your time management skills and so planning is the most important feature to achieve the desired results in this examination. Every year IBPS announces positions in clerical, PO, SO posts in the nationalized banks, State Banks and RRBs. This year the notification for IBPS Clerk 2018 was released on 14th September 2018 for total 7275 vacancies, the IBPS exam is scheduled on 8th, 9th, 15th, and 16th December 2018 in multiple shifts and the main exam is scheduled on 20th January 2019. With the limited time left for the exam, you need to adopt organized method of preparation in order to deliver your best shot for the exam. We help you in creating a time-bound methodological preparation strategies and great preparation tips to crack IBPS Clerk exam 2018. In order to score well in the IBPS Clerk exam, you must focus on the section wise strategies and tips, important topics to study in the last days of the preparation. Let’s begin the strategies for preparation by looking at the exam pattern first. Note: Remember, there will be negative marking for wrong answers and you need to score above the sectional and overall cut off to clear IBPS Clerk 2018. What study strategies to follow to crack IBPS Clerk 2018? Apart from completing the entire syllabus of IBPS Clerk exam, you should adopt some smart approach to stand out from your other aspirants. Work on some of the important topics of the syllabus that are frequently asked in the exam. We now provide you with some section-wise tips and strategies to make the best use of your concluding preparation days for IBPS Clerk 2018. ● Simplification and Approximation – You can expect at least 10-15 questions from this topic. You can score well in this topic by following the BODMAS Rule to solve the questions. Tables, squares, cubes, square root and cube root must be on your fingertips. ● Number Series - 5 questions can be asked from this topic. You need to follow patterns in this topic to score good marks. These patterns are -square pattern, cube, prime number pattern, difference pattern, number series pattern based on multiplication, addition and division. ● Data Interpretation - Practice topics like bar graphs, tabular DI, pie-chart and sharpen your percentage, ratio topics, calculation skills. ● Quadratic Equation - Observe the vale of X and Y carefully. ● Data Sufficiency - 5 questions are asked from this topic. Check carefully that the given statements are enough to answer the questions or not. ● Miscellaneous - 10 questions from this topic and focus on topics like average, ratio. Percentage, partnership, profit-loss, time-work. ● Reading Comprehension - 5-10 questions are asked and the best way to approach this section by reading the passage first and then move ahead with questions and answers. ● Cloze Test - Practice good grammar rules and a good vocabulary to score good marks in this section. ● Sentence improvement/Spotting Errors - Do good practice of articles, tenses, singular-plural, sentence correction, subject-verb agreement to crack the common errors. ● Para Jumbles - First try to identify the first and last line of the paragraph. ● Odd One Out - Identify the answer by matching the theme of the question. ● Fillers - Understand context of the sentence and then recognize the tone of the words. ● Match the Column - Match the sentence in order to create meaningful and grammatically correct sentence. ● Para Completion - Choose the option by aptly without changing the theme of the paragraph. ● Puzzles/Seating Arrangement - Be familiar with right and left sides for all the cases and well-versed with outwards, inwards, towards a direction. 10-15 questions are asked from this topic. ● Blood Relations - Know generation and relationship tree to solve this topic. ● Direction Sense - You must draw lines to solve this topic to avoid any kind of mistakes. ● Syllogism - Read question carefully as you can expect 5 questions from this topic. ● Alphanumeric Series/Number Series - You should be good with concepts of left/right. ● Input-Output - Understand the concept of the topic well. 1. Grammar is the backbone for the English section so, hold a tight grip on grammatical errors. 3. Any kind of shortcut in Reasoning Ability will not be going to help you. 4. Understand the concepts of the topic correctly. 5. Must focus on the theoretical part and practice more questions with short tricks in the Quantitative Ability section. 6. Make a habit of revision on regular basis. 7. Practice the questions with accuracy and speed to score well marks. 8. Go for a realistic timetable rather making hard and fast rules for your preparation. 9. Do not forget the importance of notes and flashcards as that is perfect time -saver for you. 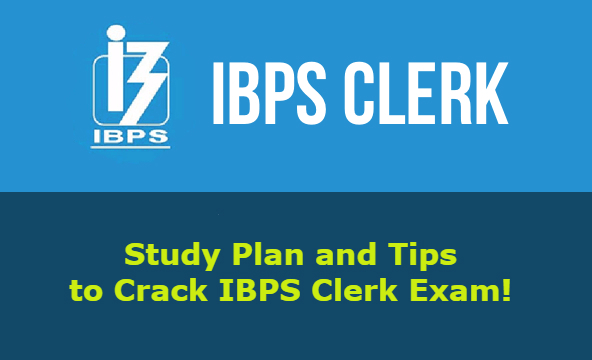 We hope these tips will help you in getting ready for your upcoming IBPS Clerk Exam 2018. Don’t forget to download IBPS Clerk preparation app. It provides free study notes, quizzes, mock test, previous year papers, and all the updates related Bank exams.